Following up on our conversation from last time, we tackle a list of listener questions that we thought would be simple but took us off in really different directions. 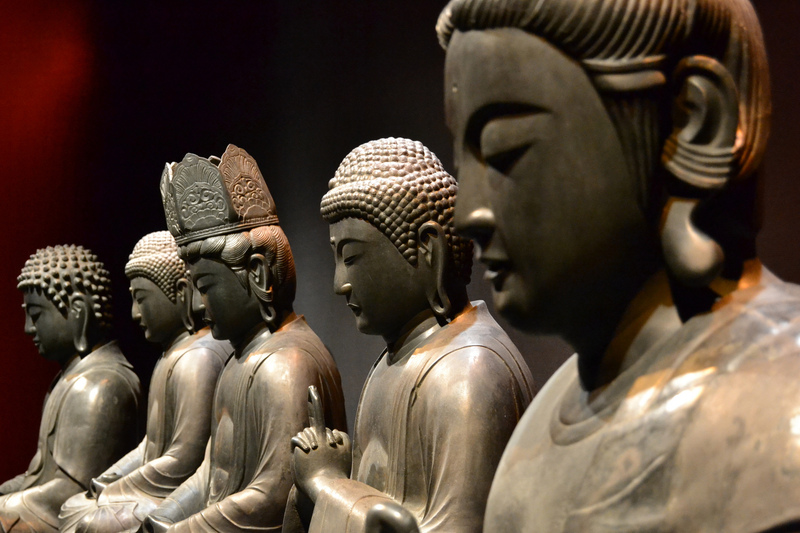 The first question is whether or not Japanese Buddhist traditions rely on the Pali canon — yes? no? maybe? we don’t know! We (well, really, Scott) might be overanalyzing this question, but depending on what the question means, maybe yes, maybe no. This question is not unrelated to the second question — the profound “are different Buddhist traditions teaching the same thing in different ways or are they teaching different things?” On the one hand, we want to argue for some continuity in the larger flow of Buddhist history; on the other, it’s more than a little possible that the Buddha himself taught different things to different persons depending on their capacities. And that might not be a bad thing.